Classic Kinkajou Adoption Celebrity Adopt a Kinkajou! 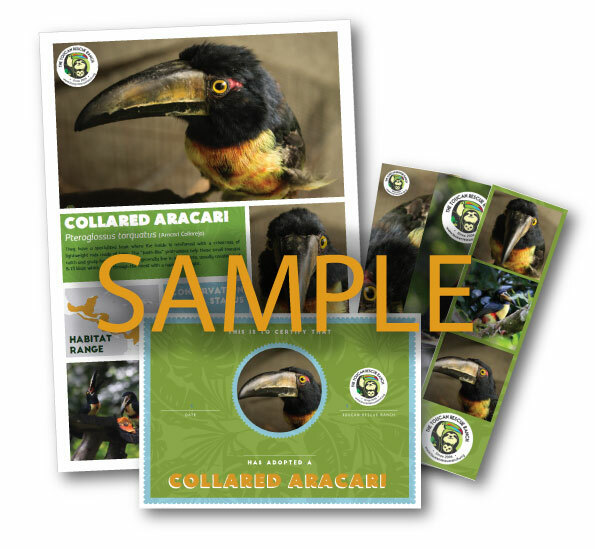 View cart “Scarlet Macaw Adoption” has been added to your cart. The Toucan Rescue Ranch has rescued many kinkajous. Major reasons for its rescue is due to the illegal pet trade, habitat loss, orphaned, and dog attacks. By symbolically adopting the Kinkajou you will be directly helping with the species ongoing food and care. With your donation, you will receive an ADOPTION CERTIFICATE and thank you email with your tax-deductible information. The Classic Adoption pays for your adopted species costs for roughly 3-months! Kinkajous are nocturnal animals seldom seen by people. Kinkajous during the day sleep in tree hollows or in shaded tangles in leaves, avoiding direct sunlight. Kinkajous have been recorded to live up to 40-years old! Kinkajous are known as “honey bears” in Costa Rica due to their odor and obsession with honey and nectar. This package is available to download upon completion at check-out.